Holiday season is finally here for good! So it’s about time we shared a christmas card with you! These days are going by so fast and I’m sure that in zero time Christmas will be here! 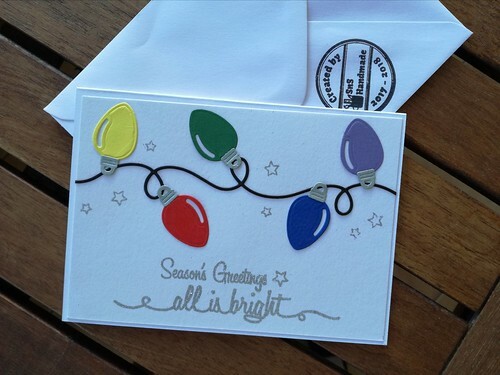 So for the first card of this year’s holiday season, we went for this adorable die cut! It is basically a card by itself! 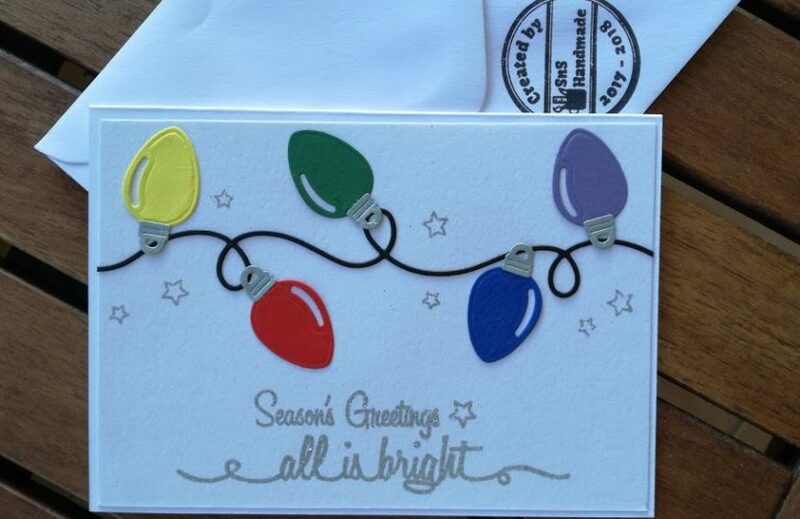 We just used black cardstock for the string and then 5 different colours for the lights. We kept them in rainbow order, because I don’t know…everything looks better in rainbow colours! For the small pieces that attach the lights to the string (I have no idea how they are called!) we used a metallic silver paper. And I must admit that this little detail took the card to a different level! To make the card come together we heat embossed the sentiment with silver sparkling embossing powder. We also heat embossed a few stars here and there because we just love details. To finish the card we just adhered the panel on a standard size card. And the first christmas for the season was ready! We are so excited for the holidays!! See you all in a few days with a new christmas card! Until then…happy crafting! !